An important step to building a swimming pool is to plan for and install an energy efficient capability. This is accomplished by anticipating and calculating the flow characteristics on plan for the pipe and fitting distribution system that interfaces the functions for the pumping, filtering, heating and sanitation operations. 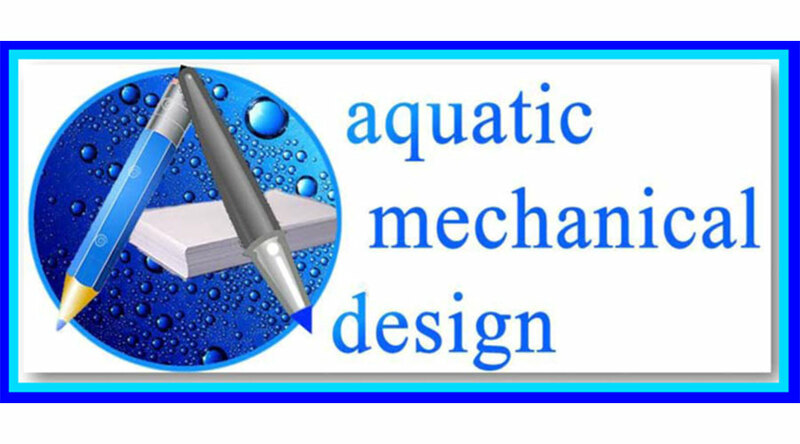 According to 2010 Title 24 Energy Efficiency Standards, the swimming pool pumping system must be able to make (1) one turn-over of it’s entire water volume in a six hour filtration duration. What this means is that the system must able to accommodate the Department of Energy’s criterion for the correct pipe sizing, proper fitting types, maximum suction and return water velocity, filtration gpm/sf flow rate and other factors. 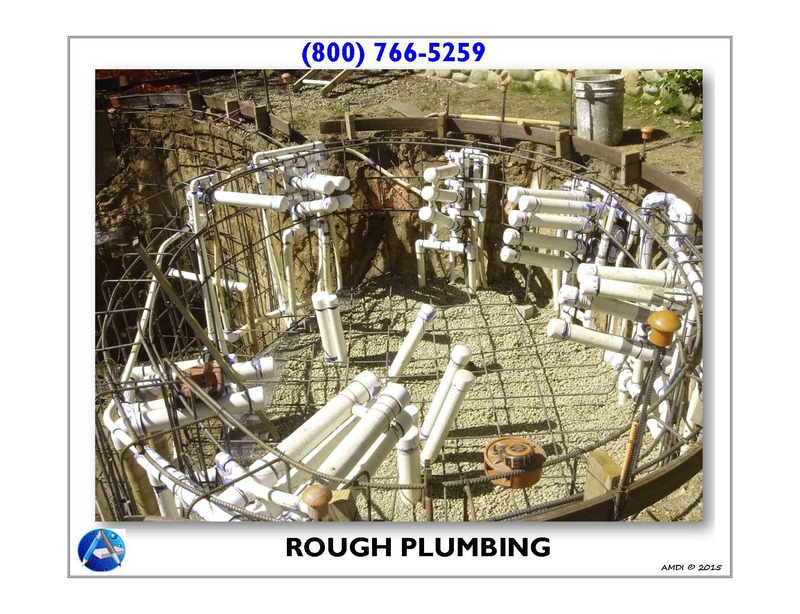 The second phase (Equipment Set) will be married to these Rough-In preparations and too often the 3-pipe “dumb plumb” approach can become in inadvertently covered with dirt and a short-cut approach can disable energy savings. Most of the official inspections will only look for the building code mandates for a 40 psi Pressure Test for water and a 60 psi for gas, that’s holding for the required 2-hrs.. In some cases they will call-out the 2010 Title 24 Energy Efficiency Standards for “Sweep Elbows” but, pipe sizing and velocity for residential pools isn’t evaluated. So in order to become the beneficiary of that intended level of energy efficiency, it will require a more refined eye that can offer greater critique. In making such observations and bringing to light any deficiency for what may or may not been accomplished, an advanced inspection can offer a remedy before such solutions become impracticably unattainable during the sequence of a progressive installation. Furthermore the planning of the conduit network which will provide raceways for the installation of the next phase of the electrical / lighting and the automation functions requires anticipating and calculating the electrical load characteristics for the wiring that will supply electrical power distribution for both the main supply and any secondary 240v/120v/12v GFCI circuitry power distribution. Prior to covering trenches this threshold of accomplishment will be the last opportunity to double check for the planned intentions against the physical constraints of any existing conditions and or in-field changes that may have deviated for the original planned objectives. 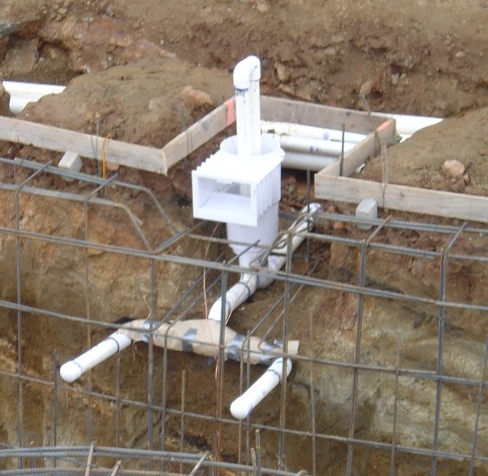 Getting it wrong from this step forward can have serious consequences and if construction progresses under the assumptions that the piping and conduit layouts were done correctly, when in fact they may have not been, then the inconvenience for making corrections later can be costly with regards to delays, time and money. Thus making sure that its all done “right” from this step forward can provide assurance that the operational functionalities will be performed as anticipated.